Carolyn and her Golden Retriever, Gunther, came to Performance Plus for puppy classes in 2005, progressed to Basic Manners and in the process became hooked on competition obedience. She quickly learned that at Performance Plus, you aren’t just training your dog…you are training yourself on how to be an effective leader. The lasting bond that is created between yourself and the dog is just amazing! The education is never ending and there is something to be learned every day from every experience. 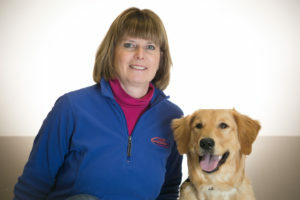 Since they first started training at Performance Plus, Carolyn and her Golden Retrievers have shown in AKC and CDSP obedience, earning CDX and UD titles. They have travelled to Pennsylvania to participate in the All Star Dog Obedience Championships tournament, a unique experience which puts the best of the best against each other in a fun, energized environment. Jib is her current Golden Retriever in training and she is having a blast with him. Born in 2015, Jib is a joy to work with. He is playful and very willing and this will bring out the best in this up & coming team! the way they do. In the end, a person takes so much more away from the class at the end of the day and can incorporate that into their everyday life with their dog. Her goal is for her students and their canine friends to have a happy, easy-going, productive life together…going places, doing things….and enjoying the their time together. Carolyn and her husband Gregg reside in Bridgewater with Jib. Gunther and Griffin are always nearby in their hearts and memories. 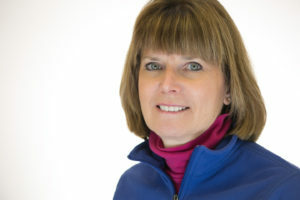 Besides training Jib, her other passions include horses, boating and relaxing on the beach! Click here to see pictures of Carolyn’s dogs.